Facebook already knows quite a lot about you and your friends, so why not use all that data to help find the best apps? 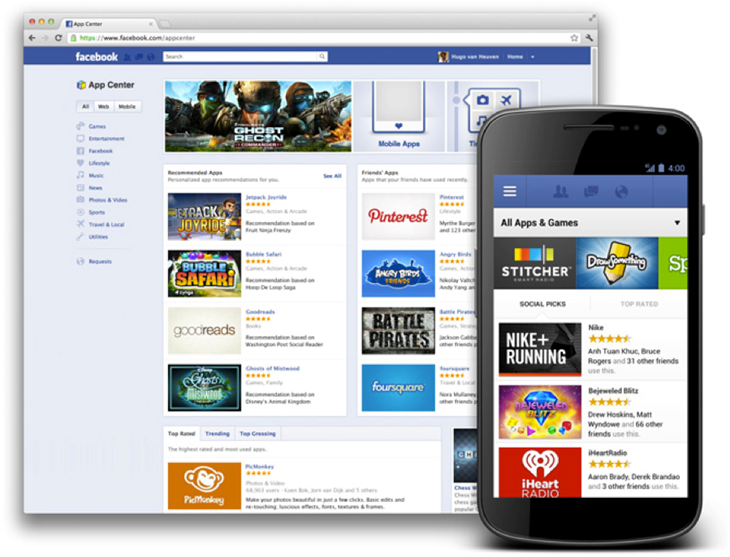 This is exactly what Facebook is looking to do with its new App Center. Don't fret, though. This isn't yet another place for developers to upload and manage their apps. This is more of an online catalog infused with social smarts. Facebook says the service will launch right now with over 500 apps, but didn't specify what the split would be between iOS and Android. However, the social network did say it would only be dealing in "high-quality apps, based on feedback from people who use the app." The apps it recommends will depend heavily on what your friends use and like. Conventional web apps have a home in App Center too. The App Center will be built into the Android and iOS apps, as well as the Facebook website. The website will have a "send to mobile" feature to get content on your device. When installation is required, your device will get a link to the Play Store for download. App Center will have screenshots, reviews, and permission information as well. Facebook App Center will be rolling out to users in batches over the next few weeks. If you trust your Facebook friends to dig up good stuff, this might be a cool way to find new apps. But if you're already worried Facebook has too much data on you, this won't help matters.